1015. Radioulnar joint disruption: associated with what injuries & mechanism? What structure is injured? Signs on exam? What coinjuries should be sought? 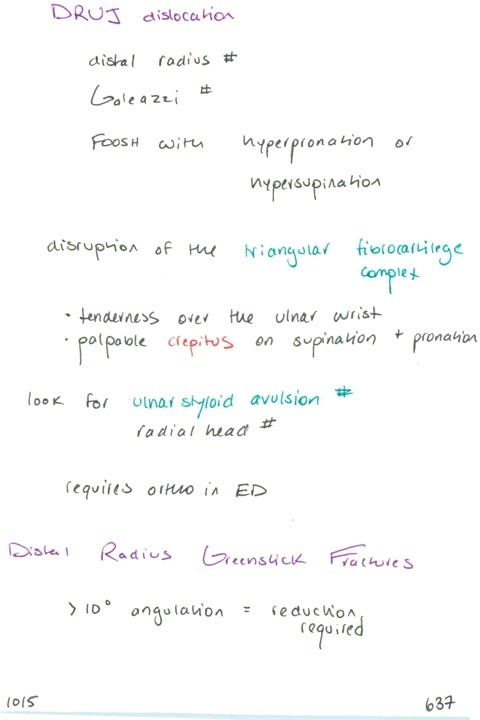 Rx // In pediatric distal radius fractures of the greenstick type, what degree of angulation is acceptable?